Fortnite is everywhere right now. The free to play battle royale game has been downloaded more than 40 million times. Drake broke Twitch records playing it. Dele Alli and Antoine Griezmann are doing celebrations from the game on the pitch. And if you’re not aware of it, you’re probably just old. Obviously, when a game is that big, there is money to be made, and pro players and streamers can rake it in. And that’s what 13-year-old Kyle Jackson from Kent looks set to do. 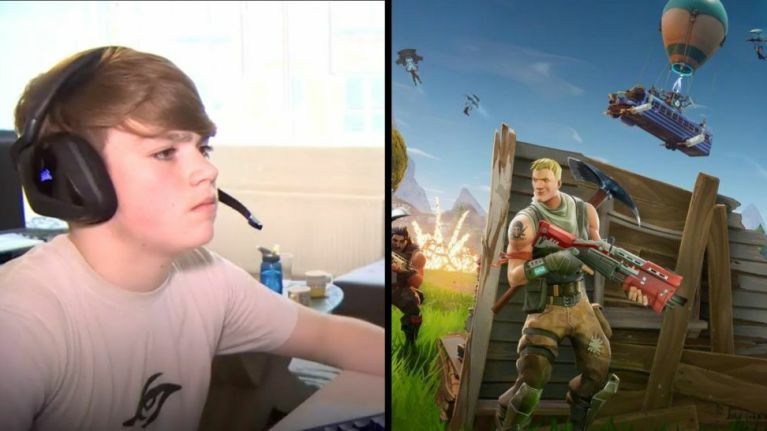 The school boy is the latest recruit for the pro team Team Secret Fortnite, and goes under the gamer tag ‘Mongraal’. He says he noticed that while he was just playing for fun, he was finishing above semi-pro players. It spiralled from there, and he signed up. Team Secret's Director of Media George Yao says they didn’t even realise his age when they signed him. Kyle’s parents have got his back – but there are rules. During school holidays, he practices all day, but he has a curfew of 9pm. He also told the BBC it isn’t affecting his schoolwork, which probably helps him get away with it. “Currently, at school I'm doing very well in pretty much every subject so they're not really worried about me playing as much as I do. I still have time to study [and] revise. Kyle’s current contract doesn’t actually include money, but he will get a share of any prize money the team wins. And esports prize pools can be massive – in 2017, Dota 2 plays stood the chance of winning over $20 million.